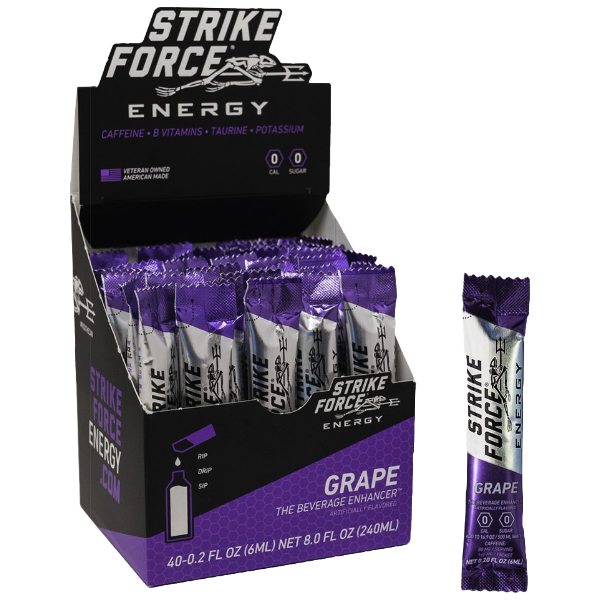 Strike Force is a concentrated energy drink that turns ½ litre of your favourite beverage into a powerful energy drink. Made by veterans for military professionals in the US, Strike Force is now available for purchase in Australia through this website and affiliated shopfronts. Strike Force Australia brings you a wide selection of flavour as well as product options. Chose from Original, Orange, Lemon or Grape flavour for your energy supplement sachets. A selection of products are available for immediate purchase online, whereas large bulk orders can be made by contacting kurt@strikeforceaustralia.com directly. The wholesale energy supplement options are listed in the product section of the Shop but cannot be purchased directly online, they are purely informational at this stage. A favourite amongst emergency service providers, this liquid energy will not only transform the flavour of any drink into something highly refreshing, but also provides boundless clean energy without the crash that is associated with other energy drinks and coffee. 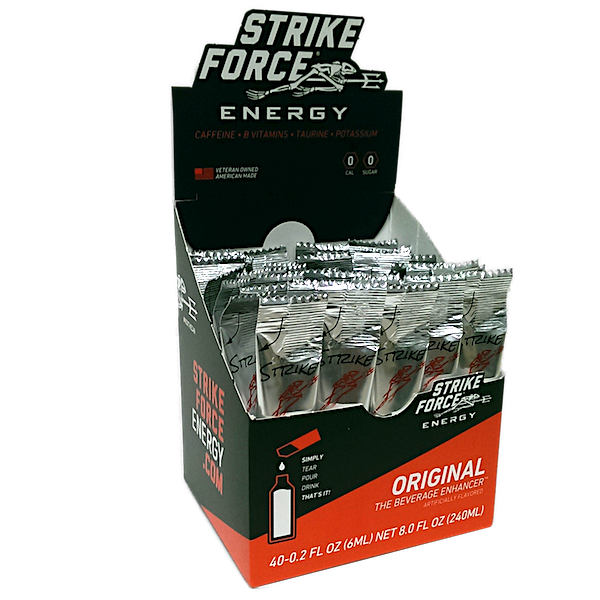 Strike Force is the most potent energy drink available as well as the healthiest as it has zero sugar and zero calories. Enjoy extreme energy without the guilt!